The Jewish cemetery in the area known as “Im Schlierbach” is likely to have already existed in the 16th century. An important indication is a report from 1713: it mentions that the burial ground had existed “since age-old, unimaginable times”. A number of stylistic features on the oldest grave stone also suggest that it dates back to the 16th century. The Jewish cemeteries – including the one in Heinsheim – were established outside the borders of villages. According to Jewish religious law, a piece of land is only suitable (“kosher”) as cemetery ground if it has neither been previously covered by buildings nor cultivated. It was not permitted to use a piece of land where a court of justice had been located, a crime had occurred or innocent blood had been shed. These conditions were almost exclusively met by meadows in woodland, field margins, slight slopes near streams or springs (used for ritual purification).The Jewish cemetery near Heinsheim was established on exactly such a meadow close to the stream Schlierbach. It is well possible that it has served as a Verbandsfriedhof (“collective cemetery”: cemetery used by several Jewish communities) since its beginnings. The main goal of a Verbandsfriedhof was to avoid the long, arduous and expensive journey to Worms for funerals. For that reason, several Jewish communities decided to establish a cemetery of their own, for joint use. Moreover, the authorities did not always allow the Jewish communities to establish a cemetery of their own near the villages they lived in. And finally, lack of money often left the individual communities with a Verbandsfriedhof as their only option. In the Kraichgau region, there were cemeteries in Eppingen, Flehingen, Heinsheim, Obergrombach, Oberöwisheim, Waibstadt and Wiesloch. The members of the Jewish cemetery association had to pay an annual rent of 10 guilders (from 1766: 12 guilders) to the lordships for use of the premises. At every funeral, a funeral charge of one guilder had to be paid; for children under the age of 10 the charge amounted to 30 kreutzer. 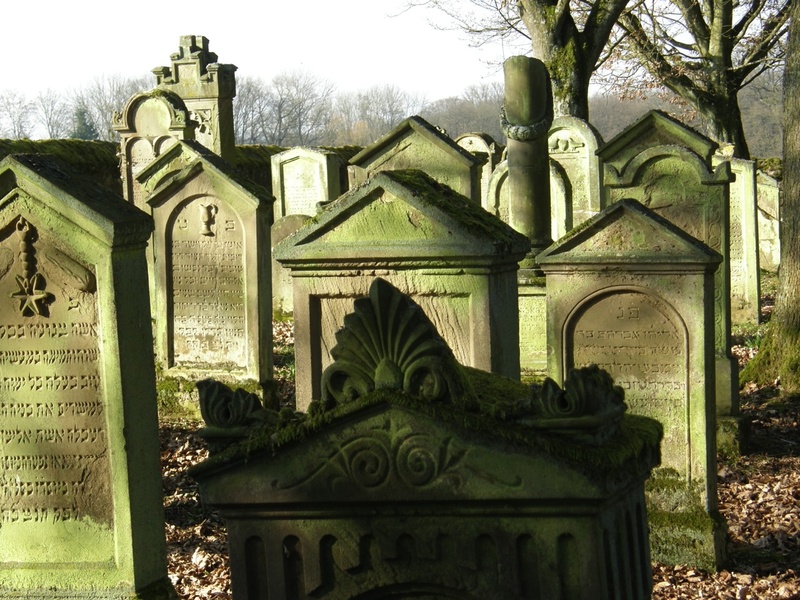 Jews in the catchment area of the Heinsheim cemetery agreed to stop burying their dead in other cemeteries. Once a year in August, Jews in the catchment area of the cemetery had to gather in Heinsheim in order to settle disputes relating to Jewish ceremonies. Half of the Zeremonialstrafen (“ceremonial fines”) imposed at those gatherings went to the local lords. It was not until 1857 that claims on the annual rent for the Jewish cemetery were settled by a final payment of 200 guilders. Ownership then passed to the Jewish congregation of Heinsheim. In 1718, the fence, which had surrounded the cemetery until then, was replaced by a wall. In the early 20th Century the number of burials started to decline. This was probably due to the fact that increasing legal equality made it possible for Jewish communities to establish their own cemeteries, as was the case in Eppingen in 1818, in Rappenau in 1881 and in Wimpfen in 1896. During the Nazi reign, which sought to wipe out every testimony of Jewish life and culture, the Jewish cemetery in Heinsheim was supposed to be razed and used for agricultural purposes. The grave stones should be put to “reasonable” use and the wrought-iron entrance gate was to serve as a supply for the arms industry. For this purpose, a purchase agreement was signed in 1944, which stipulated the transfer of the cemetery into the possession of the political community of Heinsheim. This transfer, however, was not registered until the end of the Third Reich. Witness Hermann Bach, whose father was pastor in Heinsheim at the time, reported wanton desecration and destruction of several grave sites. On some gravestones the traces of these violent acts can still be seen. On the whole, however, most of the Jewish gravestones remained intact. After the end of the Third Reich, several local representatives of the Nazi regime had to restore the desecrated grave sites. In the last 50 years, pollution and acid rain have damaged the grave stones – especially those made of sandstone from the nearby quarries of Mühlbach near Eppingen – more than anything else in the previous centuries. 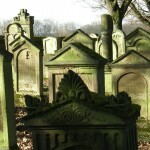 Public tours of the Jewish cemetery are offered on a regular basis by the Bad Rappenauer Touristikbetrieb GmbH. Group tours can be booked. Contact: Phone: 07264/922-391; e-Mail gaesteinfo@badrappenau.de.